The term “practical effects” could soon become the equivalent of “shade-grown organic” for genre film connoisseurs. It denotes authenticity in an era of CGI fakeness. It usually also means a few cast-members got slimed for real. That certainly seems to be the case in special effects artist Alec Gillis’s Harbinger Down (trailer here), which opens today in Westchester. To stretch her pompous professor’s research budget, Sadie has booked their whale tracking expedition passage on her grandfather’s crab trawler, the Harbinger. Old Graff runs a tight ship, but Sadie comes from a long line of seafarers, including her late parents. Therefore, the crew immediately takes a liking to her and resents her prima donna professor. When she finds an old, hitherto unreported Soviet space capsule through her whale scans, her prof. swoops in hoping to claim the glory for himself. Of course, dredging the long frozen pod may not be the best of ideas. It is immediately suspicious since it was apparently shot up at a time when the Soviets were supposedly not launching Moon missions. It is also clear the Cosmonaut did not burn up. It turns out he was killed by a lethal parasite that is now fully thawed and mutating like mad. At least the Professor will be the first one infected. When the slimy extraterrestrial entity starts wreaking havoc on the icebound ship (which happens quickly), you can see the delight Gillis and his special effects partner-producer Tom Woodruff, Jr take in creating nasty, slithering things. 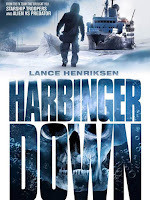 Harbinger is definitely an old school throwback to the 1980s creature horror of The Thing, Gremlins, and Aliens, with Lance Henriksen giving it extra added legitimacy as salty old Graff. His genre movie authority remains undiminished. 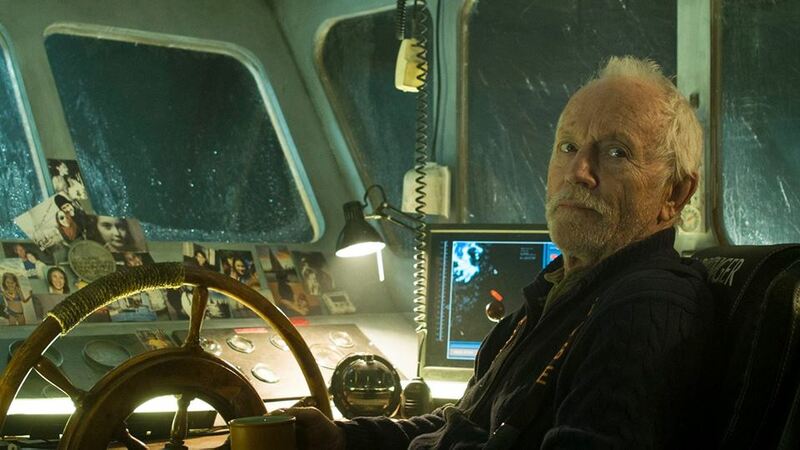 If you were stranded on a rusted crabber with an alien parasite running amok, you would want a skipper like him. In fact, the supporting characters are unusual well-drawn for a set-up-the-pins-and-knock-them-down horror film. Naturally, Henriksen does his thing, but Winston James Francis and Milla Bjorn are terrific playing off each other as the mismatched crew members, Big G and Svet, respectively. As the professor, Matt Winston (son of special effects legend Stan Winston) also makes a satisfying detestable villain, so his cosmic payback is rather enjoyable to watch, even though it means big trouble for the rest of the Harbinger crew. The space parasite is the central monster in Harbinger, but the Soviets of the 1980s and the neo-Soviet Russian government of right now are also part of the problem, which makes the film more geopolitically astute than ninety-nine percent of recent genre releases. It is also decidedly slime-obsessed. It understands what creature feature patrons want and can’t wait to give it to them. 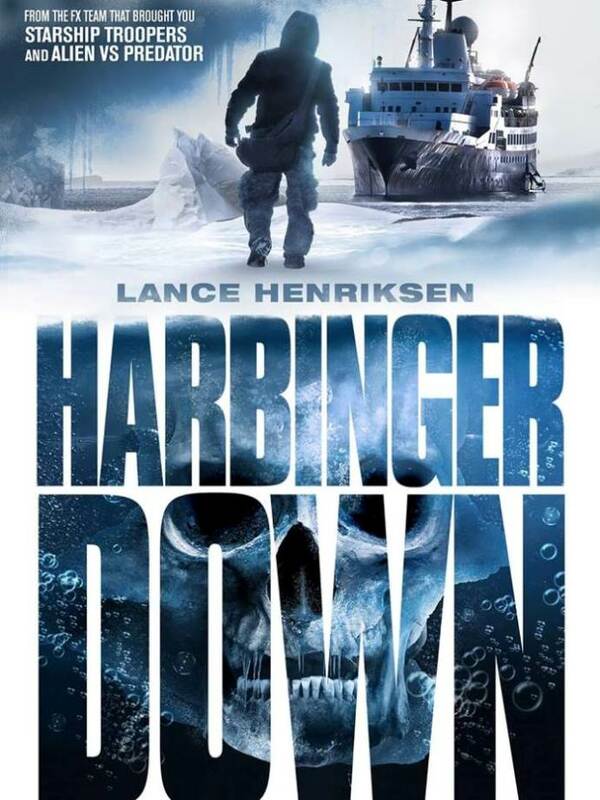 Recommended for fans of Henriksen and practical effects, Harbinger Down opens today (8/7) at the Picturehouse in Pelham.